Do you love galaxies and constellations? 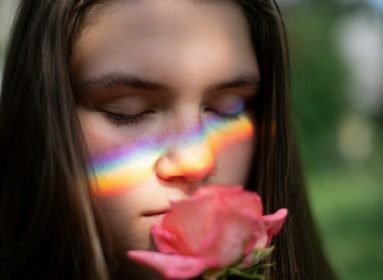 The starry magical realm of stars, which is just mesmerizing to look at? I love stars. And I can literally spend the whole night looking at them. 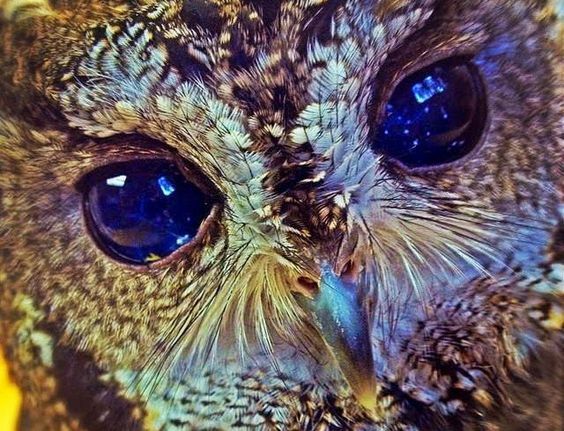 But, when I came to know that an owl in Southern California has eyes that look like starry nights, I just went bonkers. 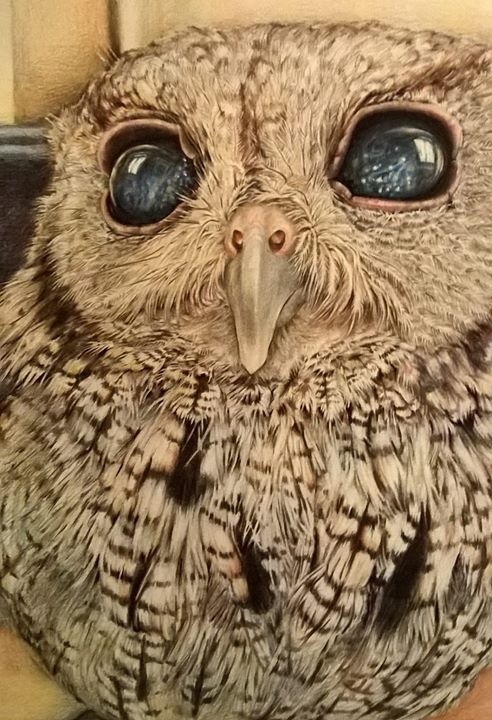 An owl that has eyes which look like galaxies and stars? REALLY??? 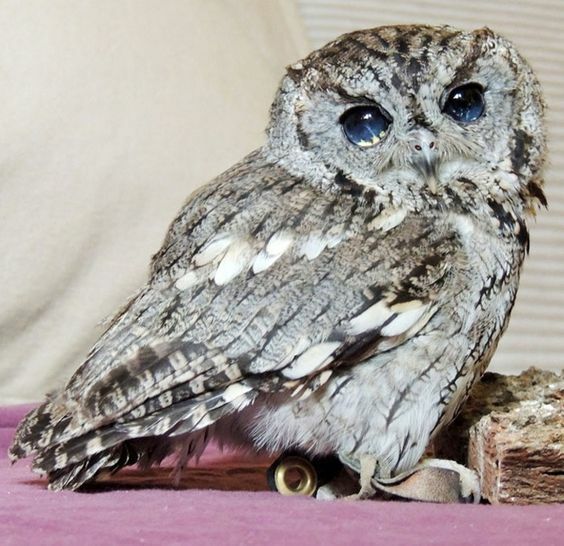 On further digging, I found out that one morning, someone in Southern California found an injured owl on their porch. 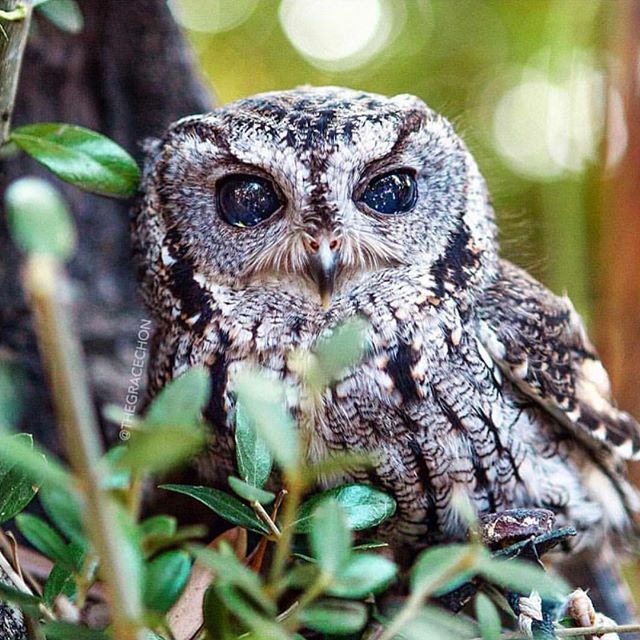 It turned out to be a blind Western Screech Owl with really peculiar eyes. 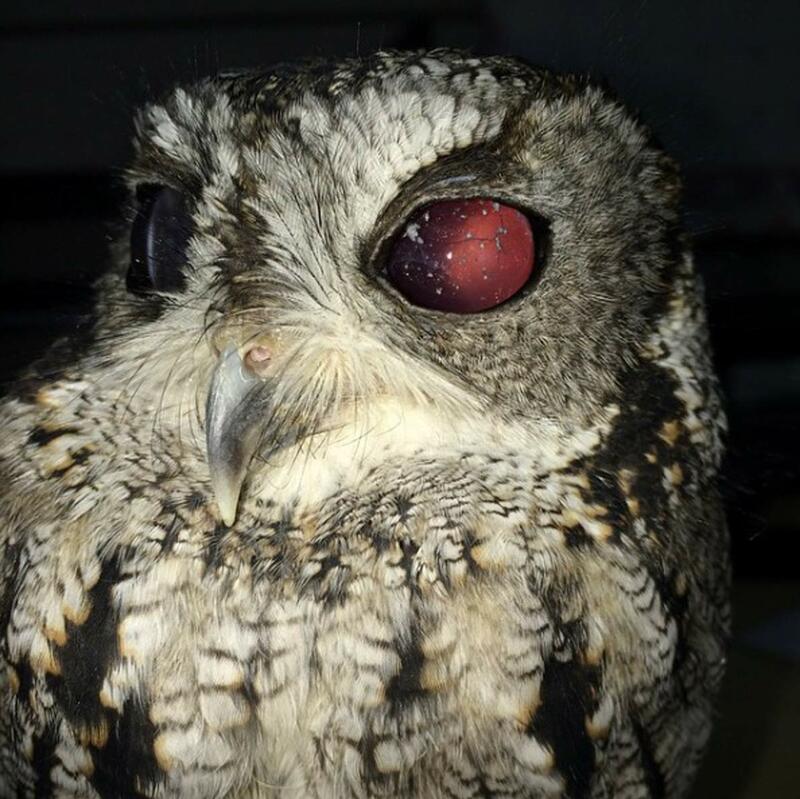 Even the doctors were amazed after examining its eyes and found out that he is blind, which is why he must have fallen in the first place. 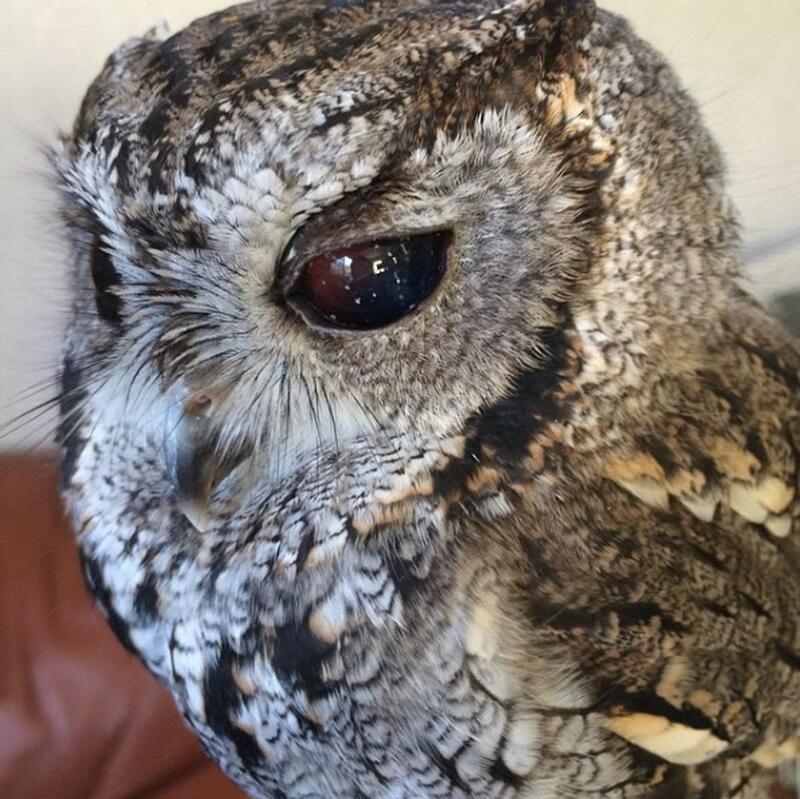 Thankfully, they treated the owl and kept it in the Wildlife Learning Center, instead of releasing it back, thinking he might end up hurting himself because of his blindness. 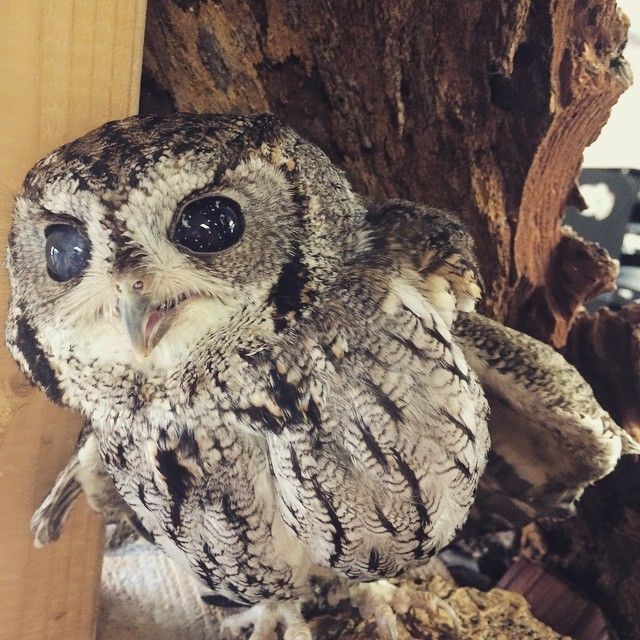 So, he was lovingly named “Zeus” after the Greek god of sky and is being cared for by the Center. 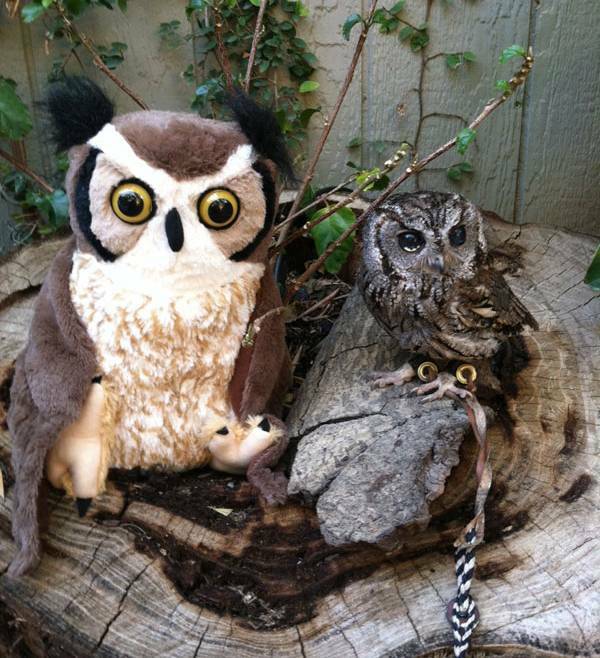 Zeus loves Halloween and even has a soft toy as his friend. 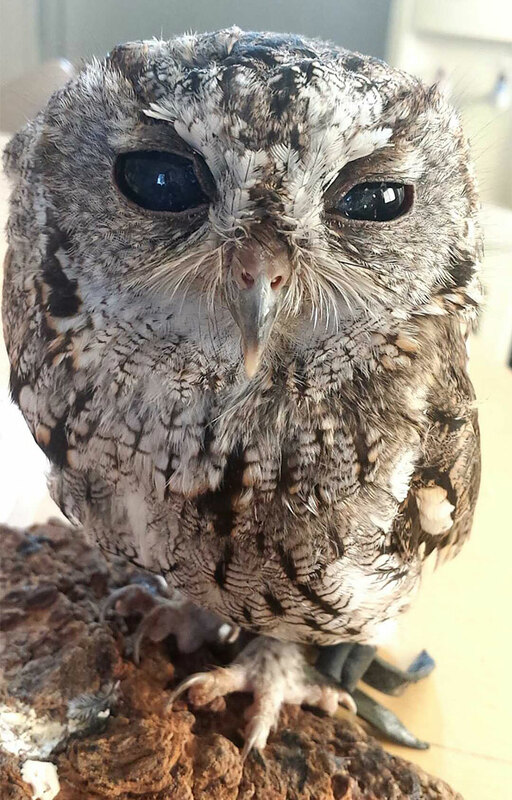 He is doing really good in the Wildlife Center and is super friendly with visitors. So, don’t hesitate ever, and do visit him if you are in South California. BTW, he just looks so damn cute, do you agree?